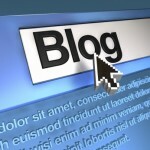 Dentist Blog – If you have a personal blog that you would like to embed into your dental practice website, just enter the information below. You must continue to maintain your personal blog externally (that is, not through this control panel). The content of your blog will appear on the dental blog page of this dental website, and will be updated whenever you update your dentist blog. If you already have your own blog, you can optionally add that content through the “Blog Display Link” area of the “Customize Portals” section. First, make sure to check the “Display on Portal” box in the top right corner. Next, you can add a title and subtitle, and select which doctor is the author of this blog. Then, just paste the URL web address of your blog’s RSS feed. You can find this link by going to your blog and clicking the “RSS feed” button. This is not where you go to add new posts to your blog. Your blog posts will be displayed on the “Doctor’s Blog” page of your dental practice website, but the content is actually coming from your external blog – the RSS URL you’ve specified here. You must continue to maintain your blog separately from this control panel, but all posts will now automatically show up on this website as well. If you don’t have a blog already, but you want to add one to your website, take a look at the “Practice News” area of the “Customize Portals” section, where you can make blog-style posts, upload pictures, add links, and more.